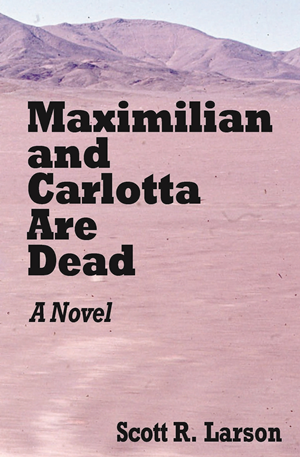 Maximilian and Carlotta Are Dead is now available in Apple’s iBookstore, so go knock yourself out. 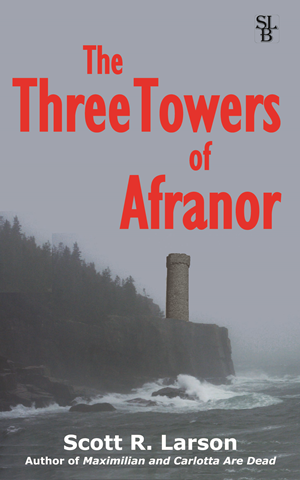 To find the book in the iBookstore try clicking on this link here. You can also click on the appropriate link to the right side of this web page. If for some reason that does not work for you, then just open the iBooks app on your Apple device and search for the title of the book. As I have mentioned before, it took longer to get the book into the iBookstore than to get it into other major online e-book stores like the Kindle Store, Nook Store, Kobo and Google Play. For those who are interested, there are two reasons for this. One reason is that I did not use an aggregator which would have distributed the digital book to all the major stores for me. There are pros and cons in using such a service, but I am satisfied that the DIY route in this area is the best one for me. The other reason for the delay is that the actual submission of a digital book to the iBookstore can only be done with an app called iTunes Producer and that app exists only for Apple computers. As distinct from all other online stores, you cannot submit a book to the iBookstore with only an internet browser. While I am a satisfied owner of more than one Apple device and have used Apple computers for work in my long-ago checkered employment past, I have myself never owned an Apple computer. To be totally honest, I still hold a bit of a grudge against Apple for a couple decades ago crushing the hapless Amiga, which rightly should have gone on to dominate the desktop computer market. Okay, I’m getting a bit geeky and fringe-y there. But the fact remains that, for whatever reason I may have, I do not use an Apple computer. And surprisingly, not that many people I know and who live near me use one. But it turned out that one neighbor just a short distance down the road has one and, plied with coffee and a free signed copy of my book, he was willing to let me borrow it for an hour or so. Since this meant working on a computer that was not my own, I did my best to have all my ducks in a row ahead of time so as not to waste time or hit an unnecessary dead end. Even so, it still was more of a headache than I had expected. I pre-downloaded iTunes Producer, but the version I downloaded was too new for his computer so I ended up downloading an older version to his Mac. 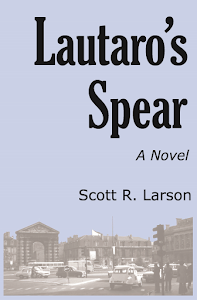 The app also turned out to be unexpectedly fussy about the dimensions of the book’s cover image, forcing me to resize it by using a third-party web site. And, as I have come to expect whenever I submit an e-book, the requirements for rights and pricing information seemed calculated to do my head in. But in the end I was successful and the book now shows up in the U.S. iBookstore. Presumably, it will be available as well for other countries soon if not already. It has definitely been an interesting experience, and I continue to learn a lot. Of course, the experience will seem even more worthwhile if someone actually buys the book from the iBookstore. I’m thrilled and excited to have been interviewed on the book blog Limelight Literature! Wales-based L E Fitzpatrick is a fellow author who does a lovely job on Limelight Literature highlighting other authors and particularly in specializing in getting exclusive excerpts from new books for the benefit of her readers. Clearly a lover of literature as well as a purveyor, she has created a great place to learn about new contributions to literature. Also, if you haven’t seen it already, check out the interview I did with Book Goodies. They have a great site as well.